Downsizing doesn’t have to mean going slower. Here are South Africa’s fastest 4-cylinder cars in the new vehicle market... and some of the models on this list might surprise you. Emissions regulations might have made engines smaller, but they haven’t made cars slower. Legislate a change and engineers simply show how much cleverer they are, by extracting more power and performance from engine sizes and configurations your grandparents could never imagine. The result of downsizing has been a proliferation of exceptionally powerful 4-cylinder engines, produced mostly by German manufacturers. This was not always the case, of course. Fifteen years ago, the only true 4-cylinder performance cars you could buy – capable of annoying supercar owners for a few hundred meters – were Japanese, from Subaru and Mitsubishi. In 2018, even Subaru’s once unrivaled WRX STi is no longer a top-5 fastest 4-cylinder car in South Africa. As the 2nd quarter of 2018 starts, the list of quickest 4-cylinder cars in South Africa has changed with the introduction of a new entity, disposing of some of the established 4-cylinder giant-killers which dominate braai-side arguments and online trolling. We have the list of South Africa’s fastest 4-cylinder cars all tidily detailed and tabulated for you below. There are some curious omissions. Cars which appear for all the world to be incredibly fast, but just aren’t. There are some 4-cylinder transplants which have been less than successful, such as Jaguar’s F-Type and Ford’s EcoBoost powered Mustang. A notable exception is Ford’s Focus RS, which was destined for inclusion, but is ultimately a tenth off due to its 6-speed manual gearbox, whilst its rivals benefit from the immediacy of dual-clutch gear engagement. To access the full potential of VW’s Golf R, you amazingly pay a bit less and get Audi’s S3 Sportback, featuring the same engine, with its full complement of 228 kW. Somehow Audi technicians feel confident that they can deal with any ‘warm’ climate issues S3 customers could encounter in South Africa. S3 Sportback is the litmus test for power outputs often being a comparative game of diminishing returns, as those 15 additional kilowatts net absolutely no gain in performance over a Golf R, which is marginally lighter. The Audi S3 runs a 0-100 kph time of 4.6 seconds and tops out at 250 kph. 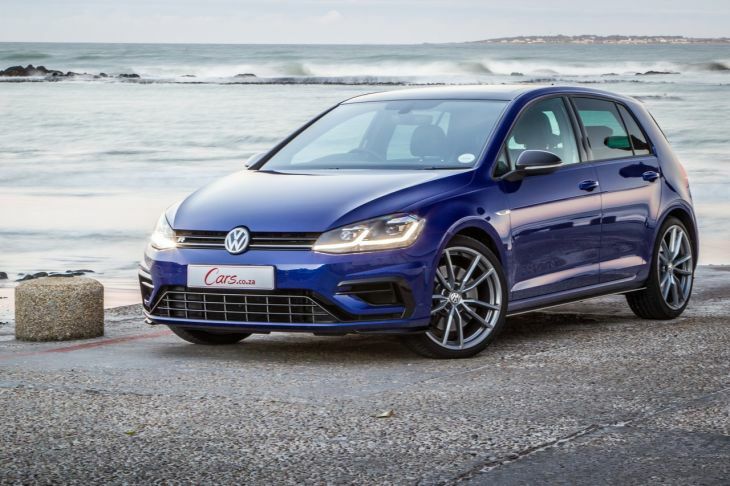 Golf R’s always been a subject of contention locally, due to its feathering of power output: South African market Golf Rs peak at 213 kW, whilst right-hand-drive Golf Rs in the U.K. are good for 228 kW. Ostensibly it’s because of our ‘warmer’ climate conditions, but fuel quality is perhaps closer to the technical truth. The presence of Audi’s S3 models creates a bit of product rivalry tension, but despite the power discrepancy, our ‘mellower’ Golf Rs are in no way shy when measured against performance benchmarks. A Mzansi-specification Golf R still runs 0-100 kph in 4.6 seconds and a true 250 kph top speed. 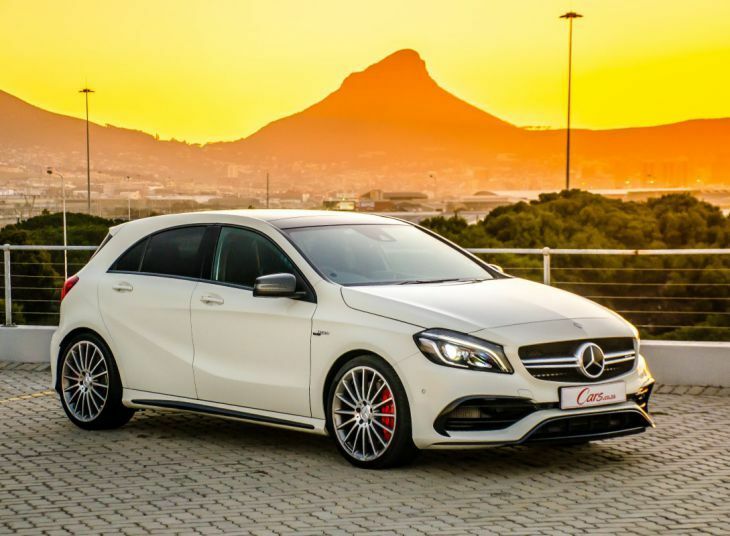 There is certainly an argument to be made that no other four-cylinder car has captured the imagination, and created expectation in quite the manner of AMG’s hatchback. 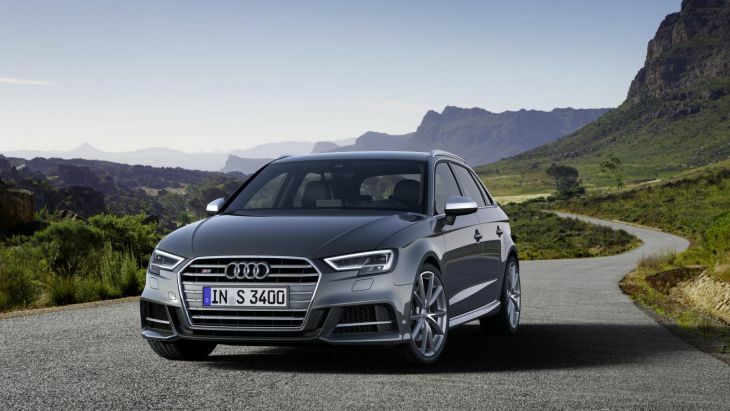 It remains the most powerful four-cylinder car you can buy in South Africa, with the hand-built M133 engine boosting to 280 W.
A45 is not a study in how to build the lightest possible performance hatchback, it weighs 1 555 kg, heavier than either Golf R or S3 Sportback, but with an abundance of power and torque (475 Nm), AMG’s pocket rocket certainly does as it was intended to. The optional Drivers Package yields a 270 kph top speed and on a high-friction surface it will run an absolutely phenomenal 0-100 kph time of 4.2 seconds, which puts it very much in a class of its own. But not quite at the top of the four-cylinder class in South Africa. 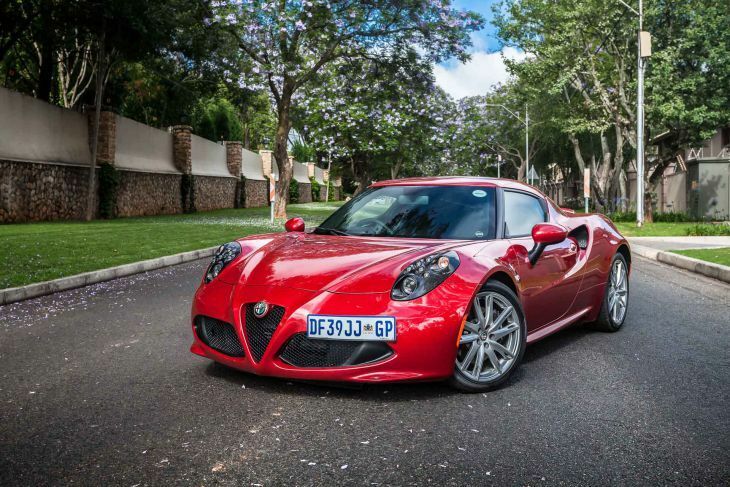 A forgotten car to most, but a very special one and if you have the money, Alfa Romeo South Africa can most certainly provide you with a new 4C. Exquisitely light, the Roadster weighs only 1 128 kg, making it the lightest car on our list, and the second fastest. Technically, it ties with our number one listing on acceleration, both running a 4.1 second elapsed time from 0-100kph, but the Alfa’s top speed is a touch more conservative, at 258 kph. Outright speed was never Alfa’s intention with 4C. Featuring a carbon-fibre platform, compact dimensions and limited mass, this was always a car designed to provide unfiltered driver feedback, to explore the nuances of driving which have been forgotten in a world of algorithmic assistance systems. It doesn’t even have power steering… And at 177 kW and 350 Nm, it’s by quite some margin the least powerful car on our list. 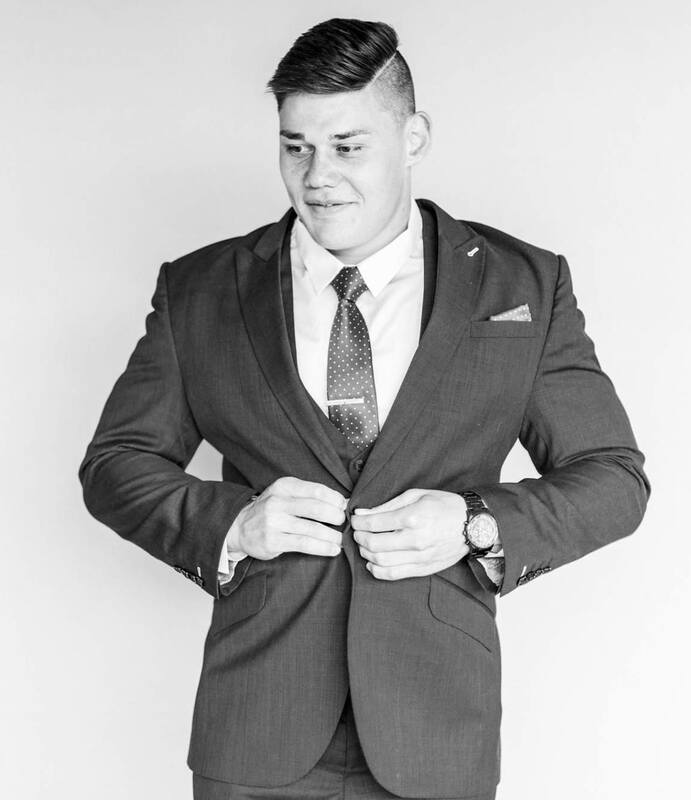 But its ranking as the near fastest four-cylinder car you can buy in South Africa pays credit to the belief that power is nothing if you don’t pay attention to how many kilograms you are trying to accelerate. The latest four-cylinder performance car available in South Africa and right to the top of the list. For Porsche traditionalists, the four-cylinder Boxster/Cayman models are troublesome regarding their acoustics. There is simply no way of engineering a four-cylinder engine to replicate the sound generated by one with two additional pots. That said, the 2.5-litre flat-four powering the 718 Cayman GTS does arc some impressive outputs on a dyno graph: 269 kW and 430 Nm. It’s not the most powerful four-cylinder you can buy, but it is the fastest. 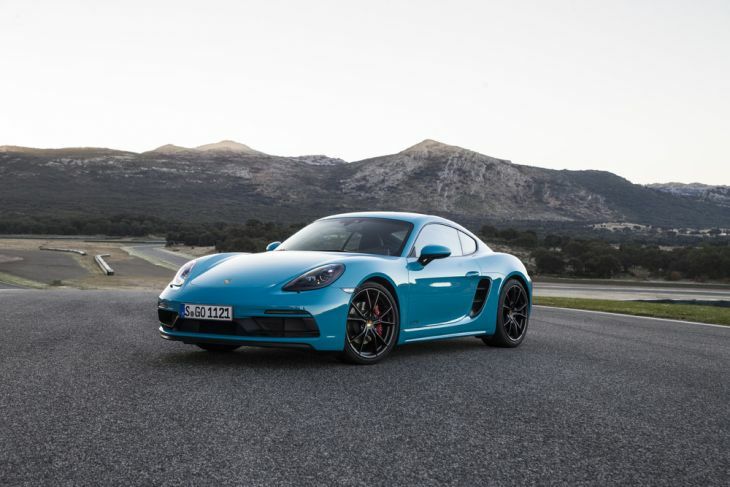 Whereas the four-cylinder hot hatches harness their engine performance with all-wheel drive, Porsche prefers rear-wheel drive only for its mid-engined cars, such as 718. The PDK dual-clutch transmission can change gears better than any human, and with the benefit of Porsche’s Sport Chrono package – which sharpens engine and transmission interaction on request – 718 GTS is good for a 0-100 kph run in 4.1 seconds. True, that 0-100 kph time merely equals the Alfa 4C, but what ranks the latest 718 above all is its runaway top speed of 290 kph. The Porsche might have a lower roofline than any performance hatchback, only two-seats and dedicated aerodynamics, but to extract 290 kph from a four-cylinder engined vehicle, that does take some very committed – and clever – engineering.